Tonight’s late-night dinner was these awesome tacos! I started with choice Black Angus stew meat (1.25 pounds for $5), sliced against the grain and trimmed of fat and sinew. I marinated the slices for 8 hours in a mix of olive oil, cumin powder, garlic powder, crushed mexican oregano (with buds), thyme, coarse black pepper, salt, and Worcestershire sauce. 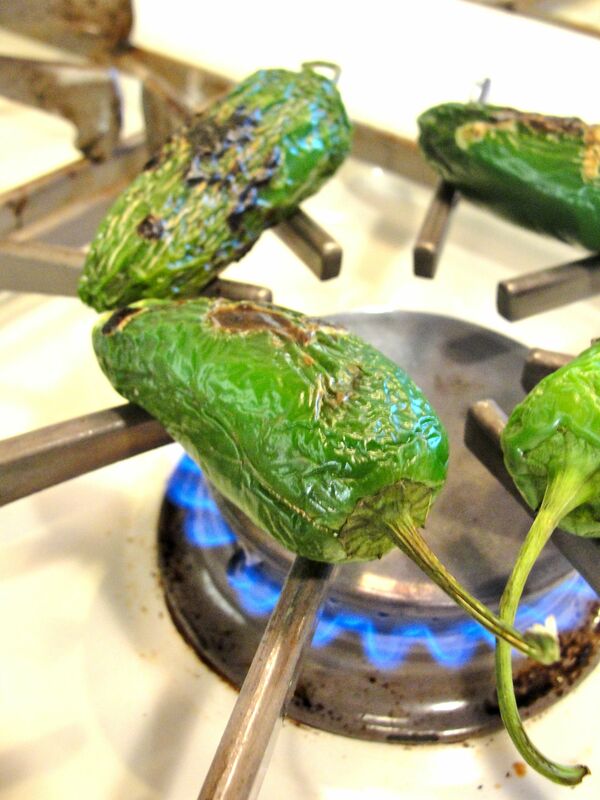 Next, I blackened/smoked some fresh jalapeno peppers (that were a little past their prime, but I didn’t want to discard) over the burner on a gas stove. While sautéing the marinated beef slices (in the marinade) with a mexican hot sauce (Valentina brand Salsa Picante) added, I warmed some corn tortillas in a pan. 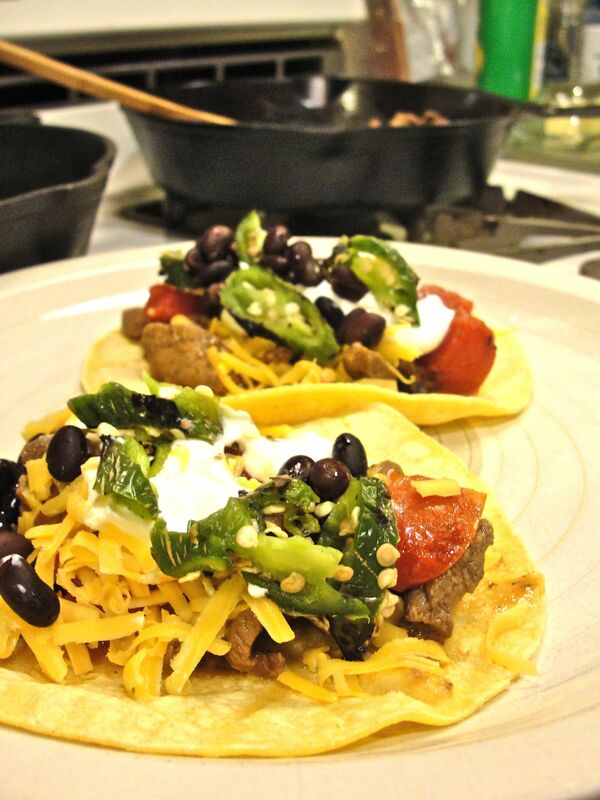 The tacos were assembled on the tortillas and topped with fire-roasted tomato (Hunt’s, canned), sour cream, shredded sharp cheddar cheese, black beans, and slices of the jalapeno peppers. 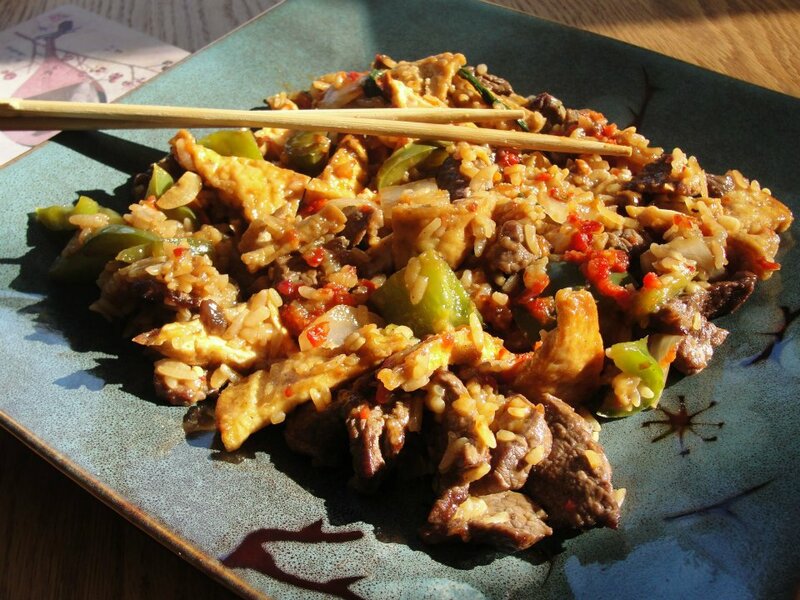 I made up this dish based on leftover ingredients from other recent meals; it is essentially a tasty combination of asian pepper steak and fried rice. I used Angus Beef stew meat, thinly sliced. I also used tofu, cut into 1/4″ thick triangle-shaped pieces and fried in shallow peanut oil, so that just one side was browned. I like this restaurant-inspired way to prepare the tofu for its visual appeal. The beef is sautéed in peanut oil with minced fresh garlic and ginger, then with coarsely diced green bell pepper and white onion. I also added some rice (prepared earlier), fresh whole basil leaves, and stir fried it, and mixed with a brown sauce of water, white wine, rice vinegar, soy sauce, oyster sauce, black bean paste, chili garlic sauce, and honey then reduced to desired consistency. Stir fried in canola oil, ingredients are: sliced beef (I used relatively inexpensive Angus Beef stew meat), jalapeno slices, minced garlic, minced ginger, bean sprouts, scallion, egg scrambled in a bit of sesame oil, and combined with sauce consisting of fish sauce, soy sauce, oyster sauce, chili garlic sauce, rice vinegar, and honey, cooked until sauce reduced to desired consistency. 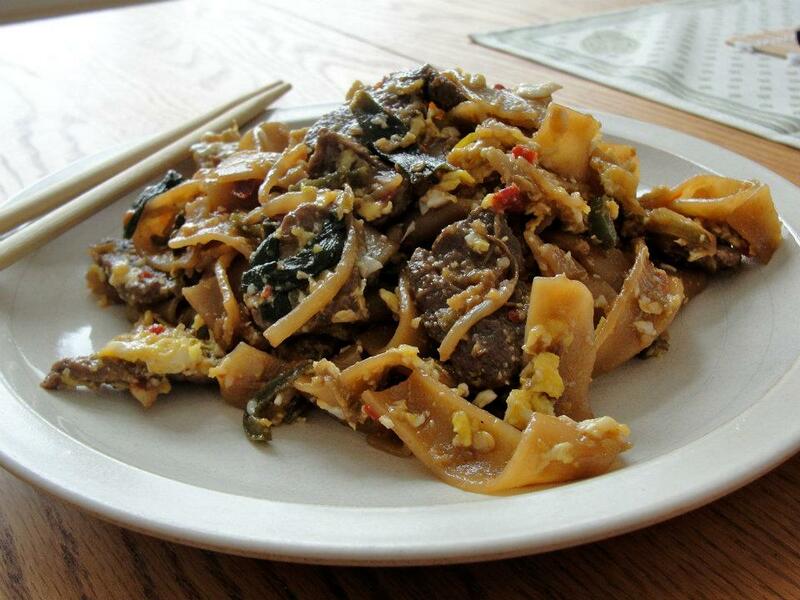 This dish is a variation of fried flat noodles known as “Char Kueh Teow” as in the following recipes, popular in Malaysia and Singapore. It’s probably no surprise, then also, that it is somewhat similar to Pad Thai from adjacent Thailand, that is partially located on the Malay Peninsula. OK, this was an easy to prepare, so perhaps not worth describing, but I’d never made it before and it’s always been one of my favorites. I bought the brisket already brined and used the included pickling spices so can’t take credit other than taking it out at the right time: ~3 hours total at 350°F (4 lbs). The cabbage was in just for the last half hour. I prepared half the cabbage separately with cumin seed and smoked paprika… if you like cumin, that was a pretty good addition. 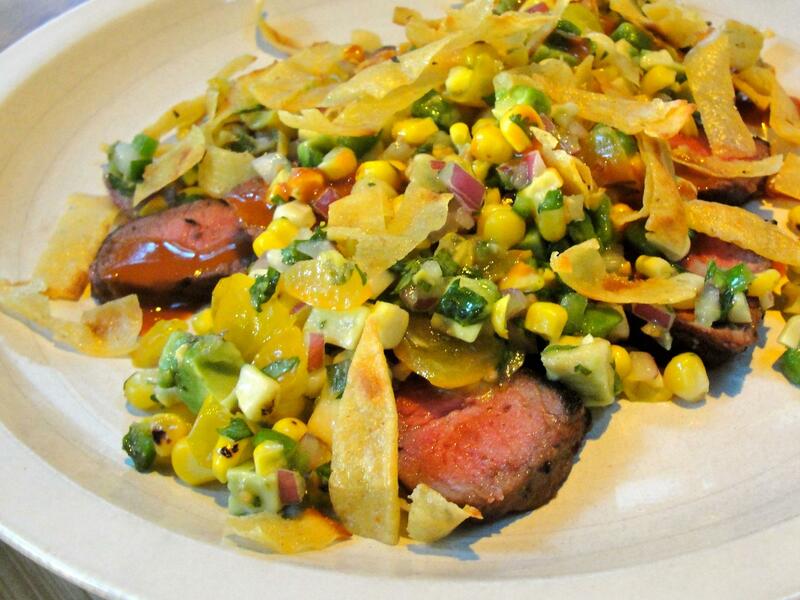 Served with Garlic Mashed Yellow Potatoes. 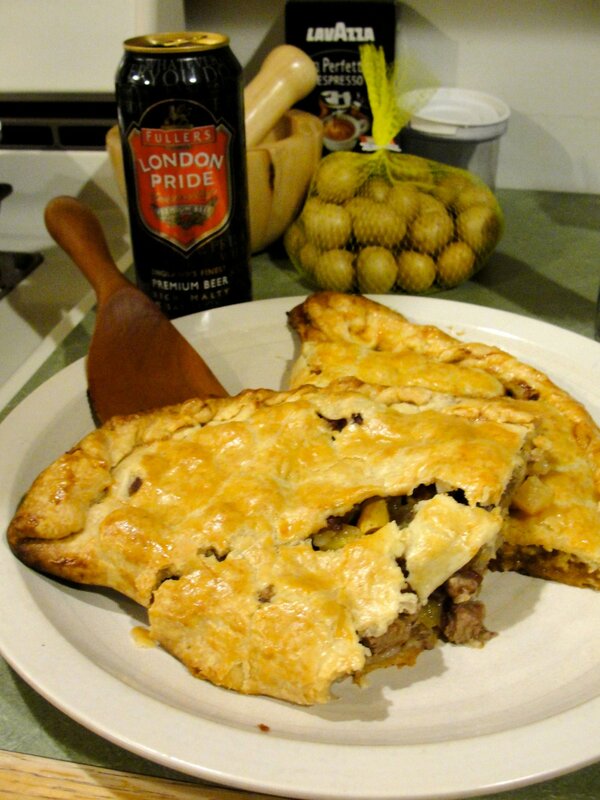 If you’re in need of a respite from foul weather and misery, try making comforting Cornish pasties. 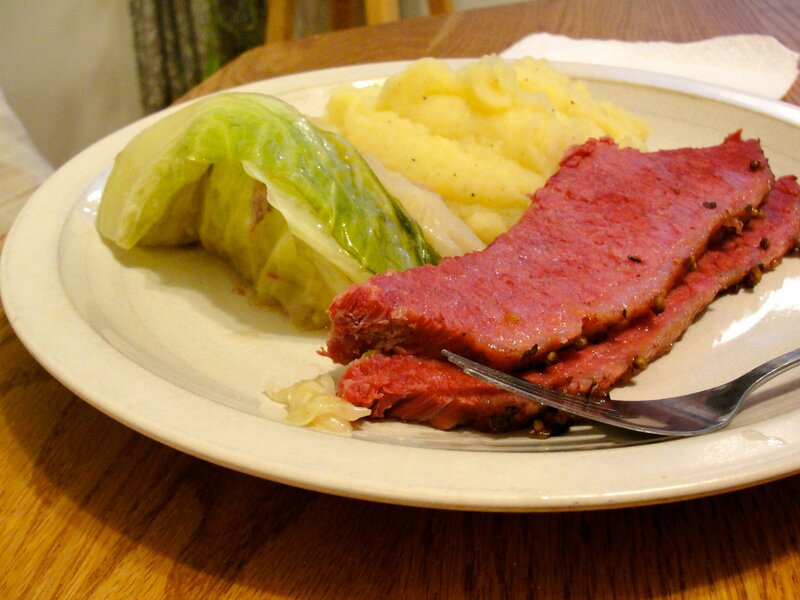 History has it that these originated in Cornwall, UK, and were popular with miners; subsequent immigration seems to be the basis for their popularity in regions of the U.S. Some sources claim that a miner would hold the pasty by the crimped crust, eat the center, and then discard the crust as it may have been poisoned by tin ore dust from the miner’s hands. ingredients: beef, e.g., lean ground, top sirloin (shown here), or top round sliced against grain (if possible), hummus, slivered almonds, garlic, oregano, paprika, tomatoes [, green and kalamata olives, onion, pepper.] 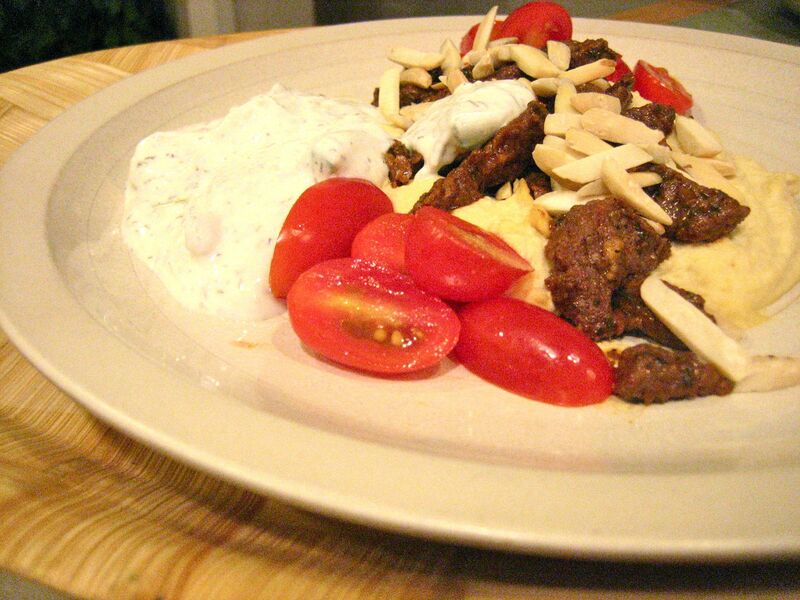 sauce: goat’s milk or greek style yogurt, cucumber, dill, minced garlic [, vinegar]. directions: prepare yogurt sauce a day in advance if possible (quartered and sliced cucumber, peeled if you wish). sauté beef with garlic, spicy or smoked paprika, black pepper, hot sauce, e.g., Cholula [, add sliced green olives, serano peppers]; serve over warm hummus, top with toasted slivered almonds, garnish with tomatoes and/or kalamata olives, yogurt sauce and warm pita bread on the side; enjoy.